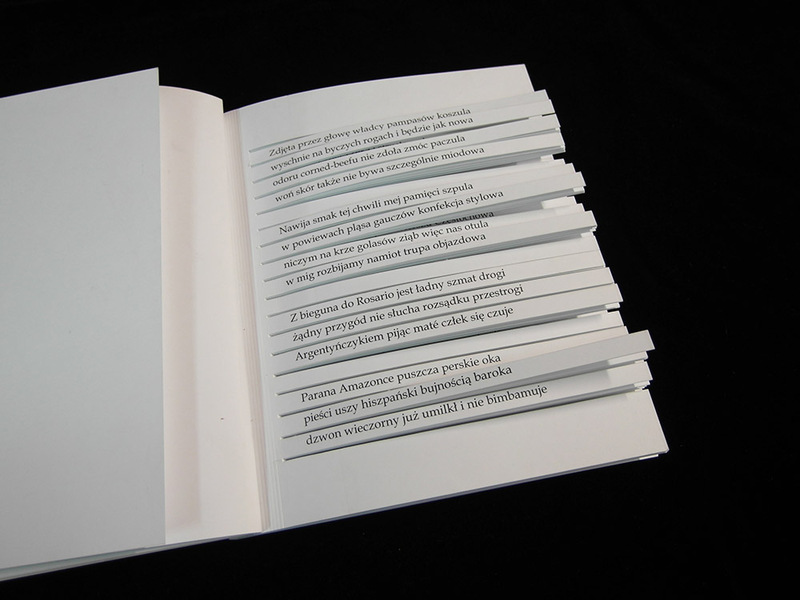 A literary text enclosed in a bottle; ten sonnets, out of which you can build "A Hundred Thousand Billion Poems"; or a novel in a box – “set a book free” says the international project Brumba. Liberature (lat. liber – free, book) is a type of literature where the verbal and material form of a book co-create an organic whole, and all elements, including the non-verbal ones, can carry meaning. The term first appeared in Poland in 1999 on the pages of Dekada Literacka when Zenon Fajfer published his essay-manifesto Liberature: Annex to the dictionary of literary terms. This manifesto explains how changing one letter may alter the sense of the whole text. Size, typeface and the colour of the font, as well as the unprinted parts of the paper and the kind of paper used, add up to the final perception of a publication. Books which were so far published in the “Liberatural way” are, among others, James Joyce’s Finnegans Wake (written in a quirky code), Raymond Queneau’s A Hundred Thousand Billion Poems (with cut verses of the sonnets which can be configured randomly), B. S. Johnson’s The Unfortunates (with its dust covers attached to cardboard which folds into a box), Eyes-Ore by Zenon Fajfer and Katarzyna Bazarnik (three volumes joined by their covers), Sienkiewicza Street by Radosław Nowakowski (a ten-metre-long cardboard street) and Zenon Fajfer’s But Eyeing Like Ozone Whole (the text placed inside a bottle). This type of literature is being revived by authors of an artistic project, Brumba, which is a joint project between Poland, Iceland and Norway aiming to develop and to promote liberature in these countries. Numerous meetings with artists and authors, language workshops and concerts are to spread knowledge and awareness of liberature, and to gather new readers. This series of events will commence with typography workshops conducted by Anton Kaldal Ágústsson, an Icelandic graphic designer. The workshops will take place on 9 May 2015 in Warsaw's Galeria V9. Other workshops, realised by art group Massmix and painter Agata Borowa, will be organised in Poland as well as in Iceland and Norway until the end of the year. Liberature inspires graphic designers, but also street artists and musicians. The Bydgoszcz-based alternative rock band 3moonboys and the Icelandic punk duo Panos from Komodo will begin an international tour in October 2015. The Polish band’s album 16 published in 2009 is a musical response to the phenomenon of liberature. Its cover was designed by Zenon Fajfer, and the album itself was dubbed “liberock”. Brumba is organised by a Polish foundation, Vlepvnet; Norwegian cultural centre Hausmania; and the Icelandic Galeria TÝS. The initiative was organised in the framework of the Promotion of Diversity in Culture and Arts within European Cultural Heritage programme. Find out the detailed schedule on the official website of the project. Source: brumba.org, own materials; edit. AW, transl. Agata Dudek-Woyke, 29/04/15.